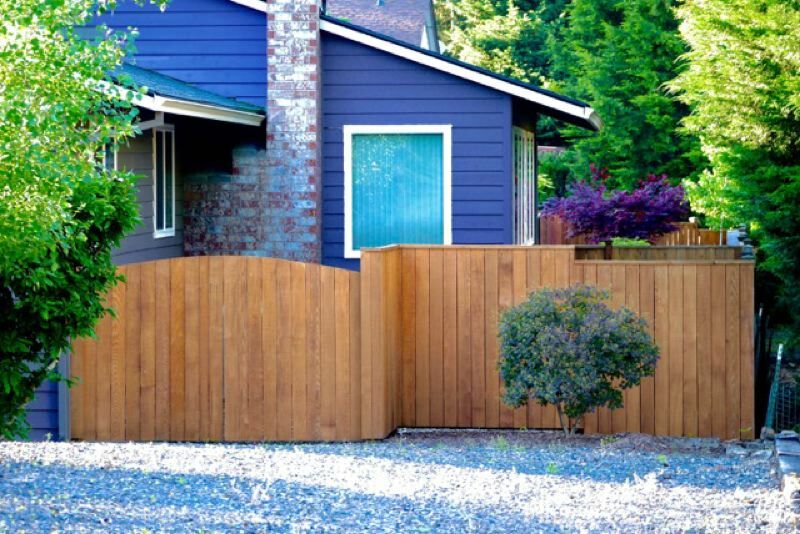 Wood vs. vinyl fences: what are the environmental and other tradeoffs with either choice? 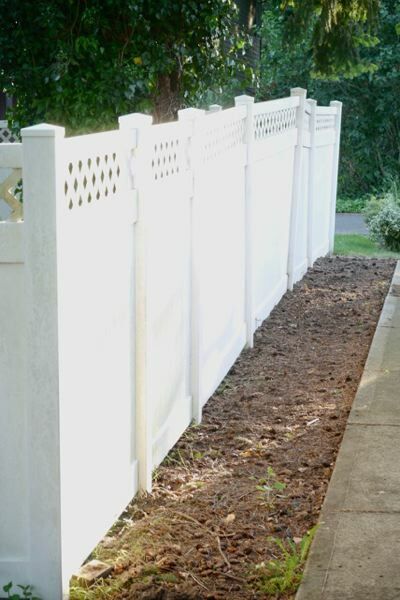 On the fence about whether to install one of those glossy white vinyl fences popping up around town? Or maybe you're still sold on the classic look of wood with the homegrown look? Wood and vinyl fences take about the same about of time to install (particularly if you install support posts and then use prefabricated sections or panels). But vinyl fences, contrary to sales pitches, aren't maintenance-free. They can be magnets for algae, mold or mildew, especially if located near sprinklers or buildings (low airflow). Luckily, vinyl is nonporous, so that green patina can easily be removed. But it may take twice-yearly washing with biodegradable soap and water. Let it go too long and your fence can become permanently stained. As everyone knows, restaining or repainting is part of the deal with wood fences. Untreated, they're prone to rot and decay as the finish wears off, and they can attract termites to your yard and home. You must reapply paint or a stain every three to five years (although some new stains promise up to 10 years). When treated with today's longer-lasting stains, cedar, hemlock, fir and pine fences will last more than 20 years — cedar even up to 30 years. The Forest Products Laboratory and other research groups report that pressure-treated wood posts can remain rot-free up to 40 years. But they also can leach toxins into surrounding soil. Over time, wind or weather damage — or sinking posts — can make wood fence boards warp or splinter. But replacement is a fairly easy process: a board or two, and resetting a post. Vinyl fencing is made from extruded polyvinyl chloride (PVC). It's lightweight, fire-resistant, weatherproof (dry-rot free) and insect-proof (no termites). Vinyl fences can easily last a lifetime, according to every manufacturer contacted for this report. Vinyl fences won't split or crack. But because individual fence sections aren't secured as well as boards on a wood fencing, vinyl is more vulnerable to extremes in temperature, which can make sections expand or bend. Wind also can make sections twist off the posts. The repair process is more costly than wood — you can't just replace a board or two. You have to replace an entire section. A survey of vinyl fence panels available at area big-box stores show they run 50 percent higher than cedar fence panels, though they last longer. Costs can vary based on wood supply and type of wood. Cedar and redwood are considerably more expensive than hemlock, fir or pine, but last longer. Pricing also depends if you're hiring someone or doing it yourself. Lumber sourced from renewable resources has a smaller environmental footprint than vinyl, especially if you consider the hidden costs of vinyl production and shipping. With the exception of naturally durable species, like cedar or redwood, posts for wooden fences, which come into direct contact with water and insects, need to be made from lumber that has been pressure-treated with chemical preservatives. Several new wood preservatives developed in recent years have lessened the toxic load. Vinyl fences are made from PVC, a thermoplastic made of 57 percent chlorine (derived from industrial grade salt) and 43 percent carbon (derived predominantly from oil/gas via ethylene). According to the U.S. Green Building Council, the material is nontoxic and free of formaldehyde, lead and volatile organic compounds (VOCs). You can recycle vinyl fences, but finding a recycler is the catch. But you shouldn't have to worry about it if you take care of your fence. It can last a lifetime. Well, as they say, every choice you make is a choice forfeited, and the same can be said about wood vs. vinyl. Weigh how long you plan to stay in your home. Vinyl is a good choice for long-term homeowners with the right landscape to support it. Fences built from wood harvested from tree farms, and completely recyclable, make wood fences an easy choice, especially if you consider that today's new stain finishes are a lot more durable and long-lasting then even five years ago. So you might be able to get away with low-maintenance restaining every three to five years. If you're leaning toward vinyl, keep in mind that the amount of resources used to produce and ship vinyl fencing material is considerable. Sources: Home Depot, Lowe's, U.S. Green Building Council, U.S. Environmental Protection Agency.